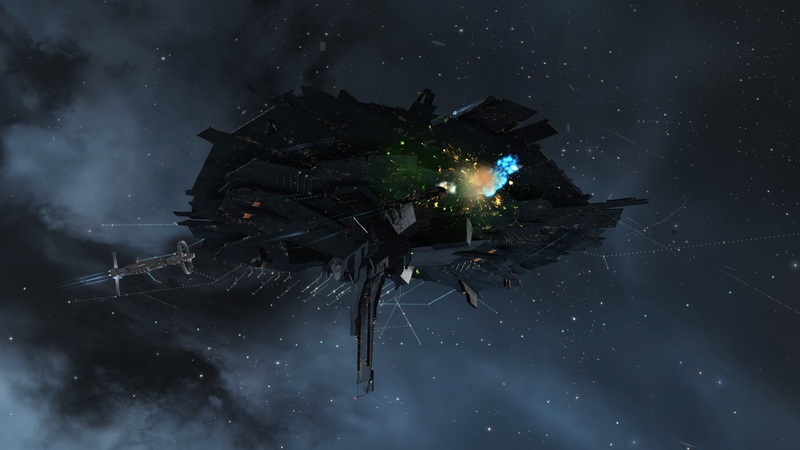 Signal Cartel, a beacon of light in a bleak universe. For 9 years, I’ve sailed the dangerous darkness of New Eden’s seas. 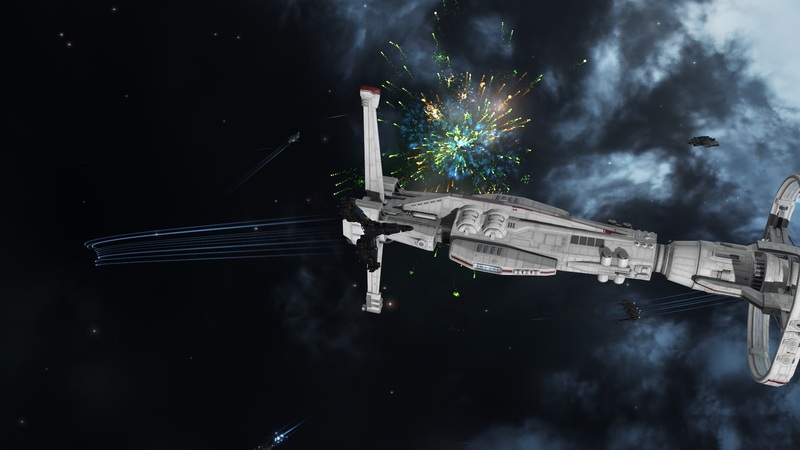 Today marks my 3 year anniversary, proudly flying the colors of Signal Cartel. What an honor it’s been and a pleasure to see the corp grow into what it is today. I’ve been told that I have the privilege of being the non-leadership member with the most tenure. Most of my fellow corpmates would probably say, Katia who? I’m very much the quiet one, in the background, going about my adventure, in my own way. But behind the scenes, I’m very much involved and I would like to think that my DNA has left some mark on the corp as well as promoted some of its growth. I know when we began and over the years, I’ve had many tell me directly it was my blog and adventure that has inspired them to explore and for some, join the corp as well. I’m simply humbled that I’ve had a positive influence upon the New Eden community. So, here are two things I’d like to reflect on for my 3 year anniversary. One where the corp has had a positive impact on me and one that I believe I had a positive impact on the corp. The Credo. For the most part, I’ve always flown with the mindset that is our corp Credo, but I had never put it down into words and I had never seen it so elegantly put into words before. 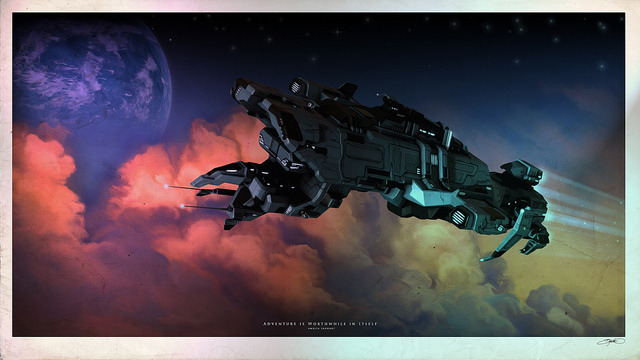 When Signal Cartel was formed and I read up on it, I couldn’t believe that there before me, in words, was exactly how I tried to fly in New Eden. The decision to join was a no brainer and I would have joined even earlier than I did, but I was deep in Null Sec on my journey and had to find a wormhole connection back to Empire in order to dissolve Sagan Explorations, my corp. To dissolve a corp and join another, I had to be in a station and it took a week for me to find the right connections back to a high sec station so I could take care of that and submit my application to Signal. It was the Credo that spoke to me from the beginning and it continues to influence me to this day as it has evolved. It’s the light I focus on in my travels and helps to keep me aligned. Capsuleers either get it or they don’t. Some of those who don’t try to change it, so I can’t thank Johnny Splunk and Mynxee enough for the hard line stance they take of protecting the Credo against those who don’t necessarily fit well with the corp and try to change it. It’s the essence of who we are and if it doesn’t click with you, then this is not the corp for you. If the heart of it should ever drastically change, then that will be the day that the light of Signal dies. This is something I have to take credit for as it’s the greatest thing ever to be part of the influence that made it happen. I’m positive that I was the first to say it in the context of Signal Cartel. My blog post title, Can’t Stop the Signal, posted the day I joined, a week after Signal was formed, quickly became our motto and I smile every time I see it. (Being a big Firefly fan, it was the first thing that popped in my head when I saw the corp name, I knew it was fitting.) Never once did I think it would catch on like it did and it’s still used today. Like I said, I really don’t like self-recognition, but this one I just have to as I’m so proud to be a part of Signal and to know that in some small way, my DNA has indeed influenced what we are today. Now for a quick update on my goal of exploring at least 3 new systems per day. I’m happy to report that as of today, I’ve explored 100 new wormhole systems. An average of 3.2 per day. I’m hoping to, and if I do, maintain this pace, that sometime later this year I’ll be able to enact my last phase of this leg of my journey. More details to come in the months ahead. 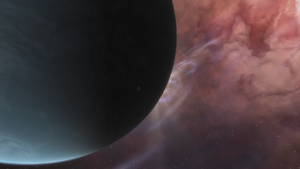 Looking over the numbers of my explorations for this past year, it dawned on me that I pasted my 8 year anniversary of exploring all of New Eden. Beginning on December 1st, yc111 (2009) my start was a rocky one. I completed 70 K-Space systems that month, but for the whole of the following year, yc112 (2010), I only managed to complete another 68 systems. 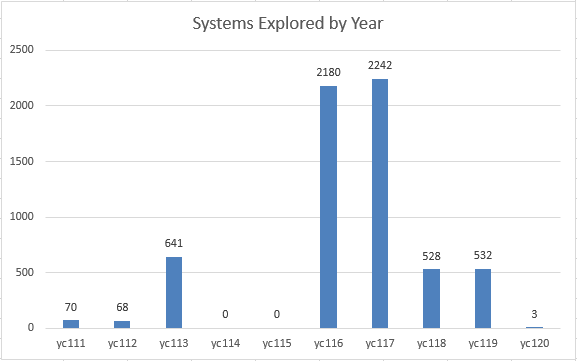 In yc113 (2011), I fared better, but still weak with 641 systems explored. The next two years, I had stepped away from my explorations, adding no more systems to my completed list. In yc116 (2014), I returned to my explorations with a determination and enthusiasm to finish what I had started. 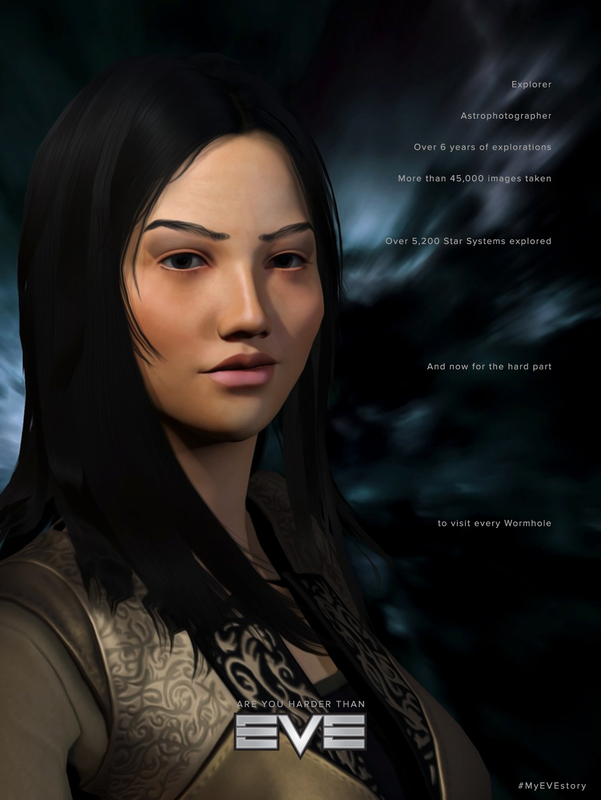 That year, not only had I explored an additional 2,180 systems, I also completed Empire space and begun my explorations of Null Sec. Completing Empire had renewed my determination and in yc117 (2015), I not only managed to complete more systems, 2,242 to be exact, I also completed all of Null Sec. With the completion of all of K-Space, both Empire and Null, the thought to retire had crossed my mind, especially since I was all docked up and hadn’t suffered a ship loss through my explorations. What better way to finish? Well, that was just it, in order to be true to my original personal mission to explore all of New Eden, then I had to include wormhole space as well. Say what you will about the challenges and difficultly of staying alive in K-Space, especially Null Sec, I knew W-Space would be an even bigger challenge. The pace I had set the previous 2 years would not be able to be maintained because of the randomness of connections and not being able to plan a route. So, the start of yc118 (2016) marked the beginning of my wormhole explorations. That year I completed a total of 528 systems, less than a quarter of the pace I had in K-Space. Wormhole space was indeed going to take much, much longer. 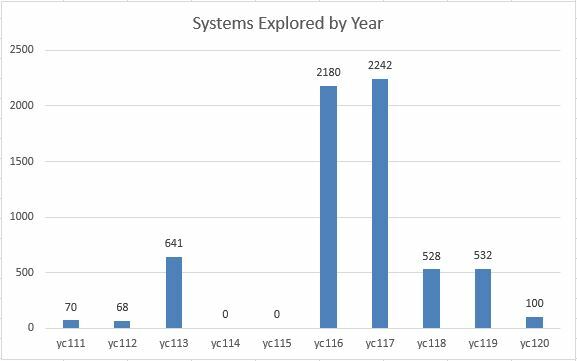 My only goal for yc119 (2017) was to do more than I had the year before, which I just barely managed to do with 532 systems completed. Which brings us up to date, yc120 (2018), and what is my goal for this year. My K-Space pace was an average of 6 systems per day. My W-Space average is around 1.5. I’d like to double my pace to 3 new systems found each day. Keep in mind, that’s new, previously unexplored systems I’ve not found yet. There are days where I only find systems I’ve already visited, which seems to be about 50% of the time, which means I have to explore 6+ systems per day at least. My main issue is time, it takes a lot to scan down and explore connections. Also, as more are found, the pool of those systems I need to find, becomes smaller and therefore harder to find. It sounds easy and is, to find 6+ W-Space systems in a day, but when 50%+ are ones you’ve already visited and you only want new ones, well, now you understand the difficulty and challenge to explore all of wormhole space. Exploration. Exploring: to traverse for the purpose of discovery. Discovering: gain sight or knowledge of something previously unseen or unknown. 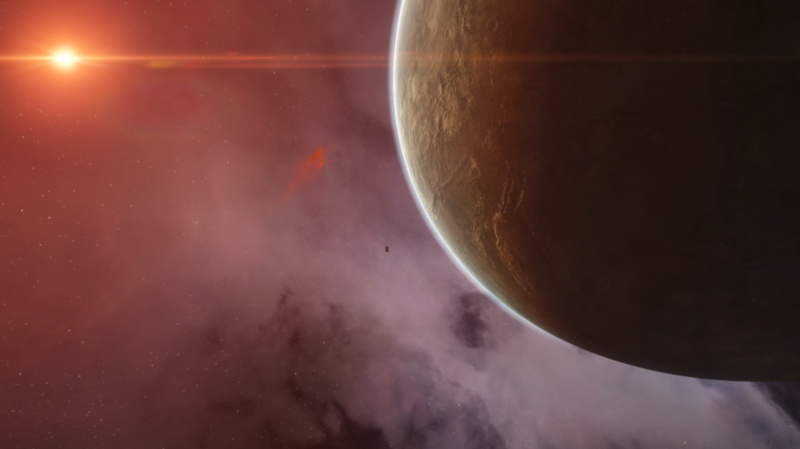 Are we, as New Eden capsuleers, explorers? 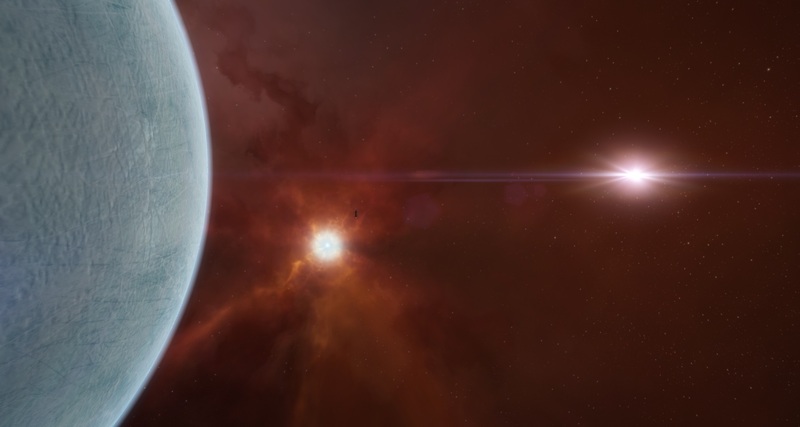 There are a total of 8,035 systems in the New Eden cluster. 5,201 Known space systems (K-Space), 2,604 Wormhole space systems (W-Space), and 230 unreachable Jove space systems. With the exception of Jove space, capsuleers routinely visit each and every one of these known systems that were previously discovered long ago. No new insights, no new knowledge, the same old suns day in and day out. Our current level and access to ship and gate technology doesn’t allow us to reach the nearby Jove systems, let alone expand beyond our current accessible known systems. So, no, we’re not explorers, not truly at least according to the definition. The age of exploration is long past until a new age can begin when advances in tech open the gates to systems beyond our current reach. Then, there will be another great rush to explore. 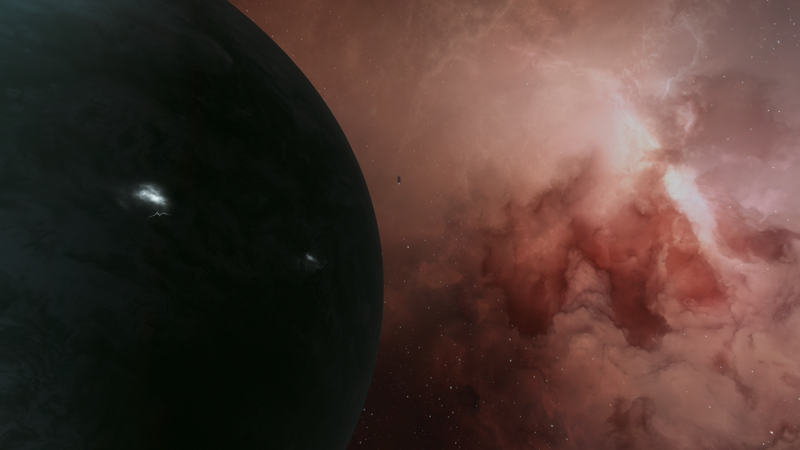 Yet, I still call myself an explorer of New Eden. Why? Simply because, even though there are no new unseen or unknown systems to reach, for those that I’ve not visited yet, they are unknown and unseen by me. 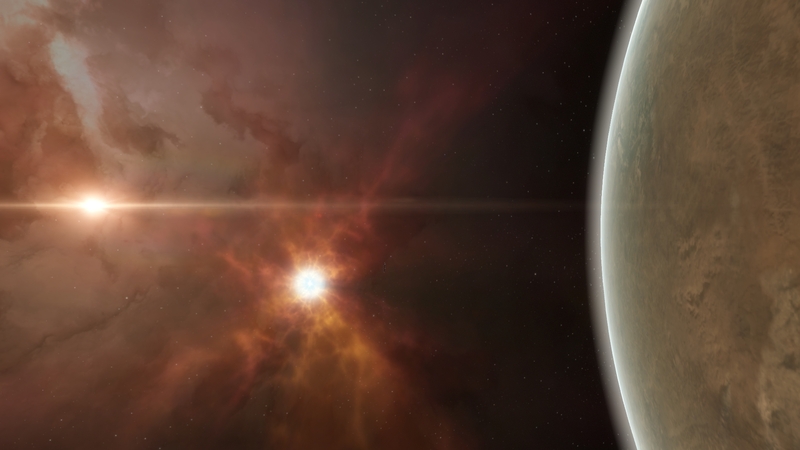 Exploration in New Eden is a journey into one’s self, very much a personal endeavor, as it stands today. The thrill of seeing a new sun I’ve not seen before, still conveys the same feelings of awe and grandness as the new first one I visited in my home system of Saisio when I began. Today, I’ve just completed my 900th W-Space system which means I’m now one third complete with wormhole space, just over 34%. 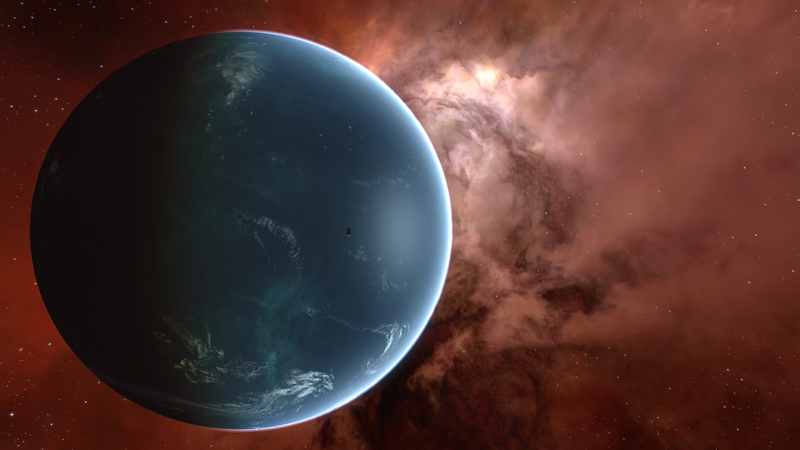 That brings my total systems explored, which includes K-Space, to 6,104 or 76% of all of New Eden. Perhaps the most remarkable aspect of my journey so far is not the number of systems I’ve visited, but the fact I’ve not lost a ship as of yet. Fly clever, seek and find what’s previously unknown and unseen by you, but most importantly, be true to your explorer’s heart. You wanna shoot me with a gun, cut me with a knife. Take your bare hands baby rip out my eyes. You knocked me to the floor then you bit me in the neck. I raised an eyebrow at Chester, my slaver hound, who only looked at me with indifferent eyes, while his head rest between his massive paws spread out in front of him laying down on the cabin floor. I continued to stare, which only provoked him to raise his head, with what seemed like a smile on his face, until he realized there was no treat involved from my look. I chuckled, mostly to myself, even though Chester cocked his head, dropping his jaw into a pant, in anticipation that a treat was forthcoming. “Katia, if I may…” Aura persisisted. Now it was Chester’s turn to raise an eyebrow my way as I reached in a drawer behind me and tossed him treat. To be called a Stargazer by my homeworld, Achura (Saisio III)… that would be the pinnacle of all that I could achieve. I’m not one for stereotypes, they generalize far too much and individualization is lost. Yet, I can’t deny how typical I am of my kind. At least if you believe all that you learn about the Achur from the widely available public resources. It is true: I am reclusive. I am an introvert. I have little interest in material things. I am deeply spiritual. I do desire to unlock the secrets of New Eden. I am one of those Achur pilots you’ve heard about that has left the confines of our homeworld and have set sail for the stars. For those that don’t know me or my mission, you can learn more from one of those public resources. 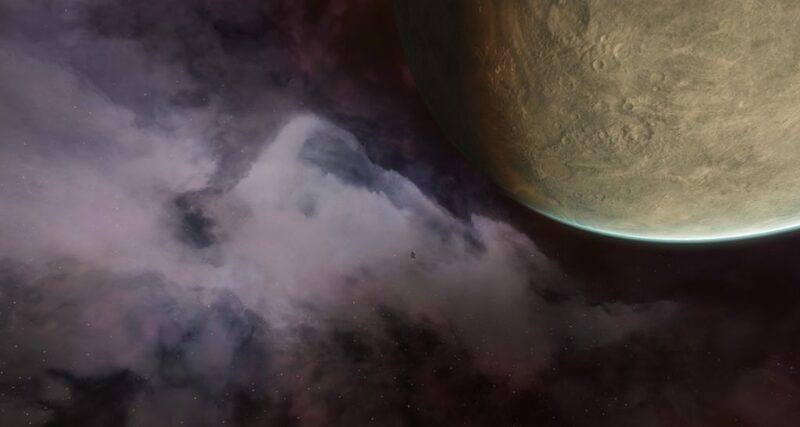 I’m currently in Phase III of my mission, which is to visit every system in New Eden. Phase I, Empire Space, began on December 1st, yc111 (2009) and was completed on July 4th, yc116 (2014). 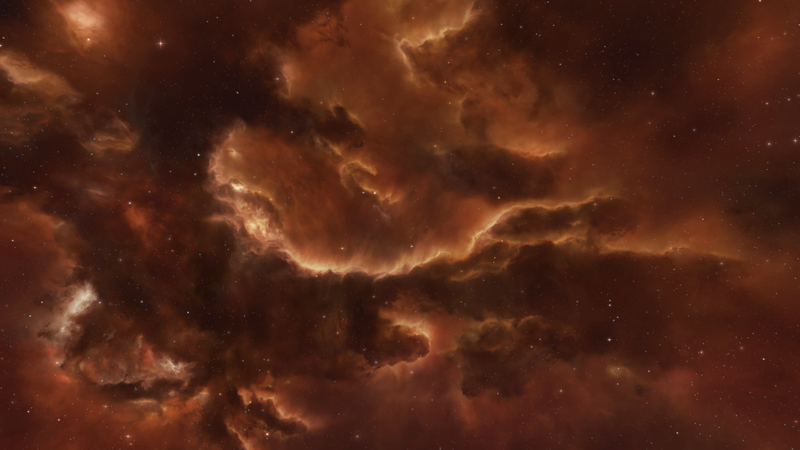 Phase II, Null Sec began on July 9th, yc116 (2014) and was completed on November 26th, yc117 (2015). On January 3rd, yc118 (2016), I began Phase III, to explore all of wormhole Space (W-Space). 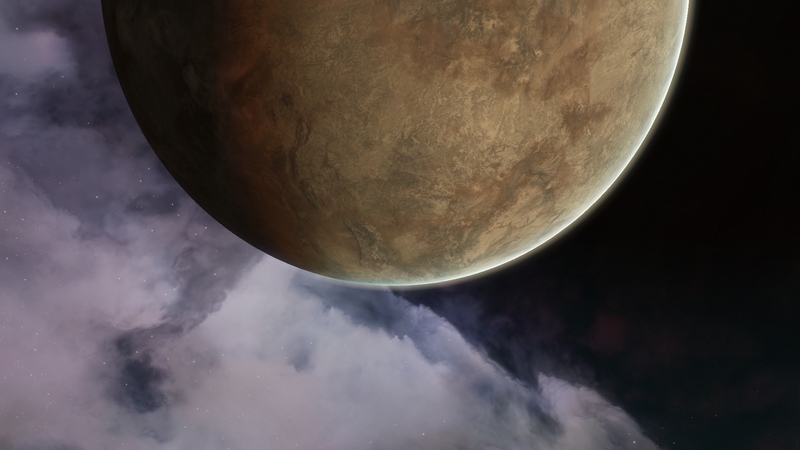 My first stop was Thera, where I was welcomed by my corp, Signal Cartel, and after the celebrations, I set sail to continue my main mission. I spent the first few months based out of Thera. It was only after a week of exploring W-Space from Thera, that I encountered my first duplicate system, a system I had already visited. After encountering more and more duplicate systems over the next couple of months, I decided it was time to wander. I spent maybe a month wandering from hole to hole, before settling into a class 5 wormhole that appeared to not be lived in that contained a class 6 static connection. 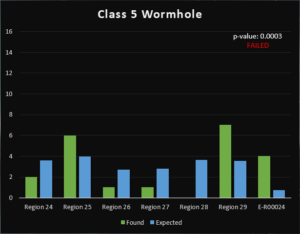 I wanted to focus on class 6 wormholes and see how many I could find based out of one system. I spent about 6 months, between that wormhole, a little more wandering, and then settling into another class 5 with a class 6 connection. Somewhere during that time, I changed out ships as well, from my Tengu to a Raptor, in order to take advantage of the small wormhole connection types. The time was well worth it as I did find 90 out of the 118 class 6 wormholes, but it was very slow going. K-Space, which was over 2,000 systems per year for yc116 and yc117, I’m now exploring at a quarter of the speed that I was before. With there being 2,604 wormhole systems that we know of, this journey at this pace will take another 4 years and that’s not taking into account the difficulty to find the systems I need in a timely manner. As more and more systems are found, the hay stack grows, and the needle becomes more difficult to find. Rather than lead you through the data analysis of Phase II, let’s cut to the chase and reveal the results. The null hypothesis: Based on region, known wormhole types are randomly connecting to other regions of space within the known expected distribution by type to the destination region using a significance level of 0.05. Conclusion based on Phase II data: Since the p-values are greater than the significance level of 0.05, we accept the null hypothesis. The observed distribution is from the same population as the expected distribution. TLDR: Known wormhole connections are equally random. Read on if you’re interested in some of the details. I’ll specifically target our exceptions from Phase I. Check out these post for more information about Project “W”, how it came about, and the Phase I results. W-Space – Why you not random? Sampling method is simple random sampling. Our observed connections are equally likely to occur in our expected destination population (Regions). Passed. Variable under study (connection type) is categorical (Regions). Passed. The expected value of the number of sample connections in each level of the variable is at least 5. Passed. 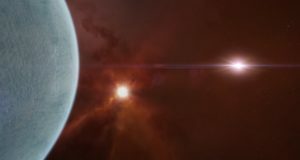 From Phase I, our anomalies concerned High Sec, specifically the Genesis and Molden Heath regions, and Class 5 wormholes, specifically region E-R00024. Let’s compare them. As you can see, our High Sec observations by region went from a range of 0 to 9 to a range of our minimum of 5 to 120. 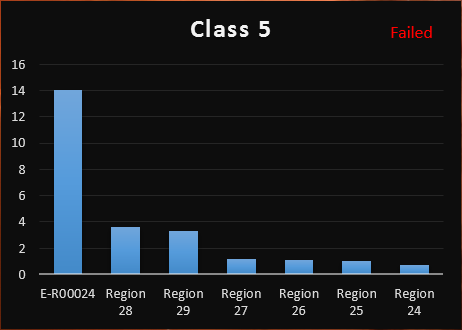 Our Class 5 observations by region went from a range of 0 to 7 to a range of 5 to 50. Comparing our Chi-square ranking, you can see our anomalies normalized with the other regions with the additional data collected. That’s really all there is to it. The research is a good lesson that conclusions can’t be drawn until all of the conditions of a given test are met. In this case, our Phase I data we didn’t have the minimum of 5 observations for each region of New Eden. 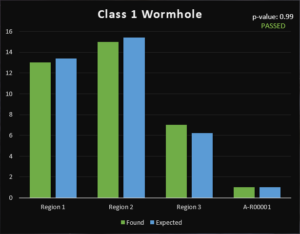 Our Phase II data met that requirement and we were able to show that, at least for known wormhole connections, the destination region is equally random. I posted an observation I had made back in April yc118 (2016) that started off this research project that I titled Project “W”. There’s no rhyme or reason for the name, I just didn’t know what to call it. You can read more about that following this link. After my blog post, others came forward and said they’ve noticed similar things and offered suggestions as to what could be going on from there is something odd, to that’s the nature of randomness, and the way the brain works looking for patterns. I figured the only way to prove or disprove anything one way or the other would be to collect some data and do some analysis. So, Project “W” was born. With the help of some of my Signal Cartel corp mates and friends, we spent about 3 months from April yc118 to June, collecting data while navigating wormhole connections. At first I had thought there may be some kind of lightyear limit between systems that could possible explain the oddity, but after Johnny Splunk reviewed the Thera data from the EvE-Scout site, he stated there didn’t seem to be a correlation. So, we proceeded with the data collection without a premise, just mainly interested in seeing if any data anomalies would present themselves. Before we start the analysis of the data collected, I want to shout out to our Research Team. Special thanks to: Aiken Paru, Mirielle Asaki, Kobura Juraxxis, Mushroom Greene, Mynxee, Dr Zemph, Delaine De’Andre, Mark726, Saile Litestrider, Zecht Reddas, Forcha Alendare, Dorian Reu, Pileto, Jen Outamon, Mason Akiwa, Josca Aldent, Ashlar Maidstone, Stikkem Innagibblies, Dungeon Manager, Ozob Bozo, Andrew Chikatilo, Johnny Splunk. A total of 663 connections were observed. Of those, 300 connections were via a known wormhole type which means we know what type of space and possible region was on the other side. This will become our dataset for this first pass on the analysis. 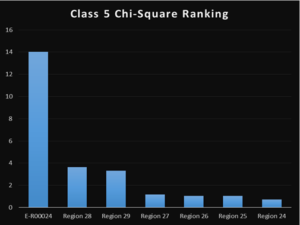 Because of this measurable dataset, I choose to use the Chi-Square Goodness of Fit test. Our variable under study (connection type) is categorical (Regions). Passed. The expected value of the number of sample connections in each level (by Region) of the variable is at least 5. Failed. More data is necessary to fulfill this requirement, however, we’ll still take a look at what we do have, if nothing else, it’s a place to start. As well as excluding the 363 exit wormhole connections and connections where the type wasn’t recorded, I also excluded Class 12 (Thera), Class 13 (Frigate sized accessible systems), and Classes 14 through 18 (Drifter wormholes) because each one are in their own region and therefore, when you find one of those connections, it’s a 100% chance you are landing in that region of space. By knowing the signature type, we know the type of space and possible region where the destination is likely to be. For example, a wormhole connection with a type of E004 will connect to a Class 1 wormhole. We know Class 1 wormholes constitute Regions 1, 2, 3, and A-R00001. We know how many systems are in each region and assuming our hypothesis that your chances of exiting in each region is equally distributed, we can compute the probability. For example, from our chart, you can see when finding a connection that leads to a Class 1 wormhole, there’s a 37.2% chance of exiting in Region 1, 42.7% in Region 2, and so on. The following two slides you can see the K-Space and W-Space expected distributions by region. Let’s get to the analysis. I started with Class 1. Above you saw our expected distribution. To the right, you see that we found a total of 36 connections leading to Class 1 wormholes. If we take that total and apply our expected distribution against it, you see that for Region 1, we found 13 and expected to find 13.37. Region 2 we found 15 and expected 15.39, and so on. Running the data through the Chi-Square calculation we measure the difference between the found and expected, we sum up those values from each region, then compute the p-value or probability which is basically the likelihood that our observation data set comes from the same population as our expected data set. In this case, there’s a 99% probability we have a match. Since the p-value of 0.99 is greater than the significance level of 0.05 (our measuring stick to find the exceptions), we accept the null hypothesis. The TLDR is connections that lead to Class 1 wormhole’s are equally random to the destination systems. In other words, it appears to be randomly determined. Please note, however, that we fail to meet one of the 3 conditions for this test to be valid, we only have 1 observation for region A-R00001 and we need a minimum of 5. In this case, the p-value is so strong and the observations are close overall, I feel more data gathering will only strengthen this result. Seeing this I was both elated and disappointed. Fantastic! 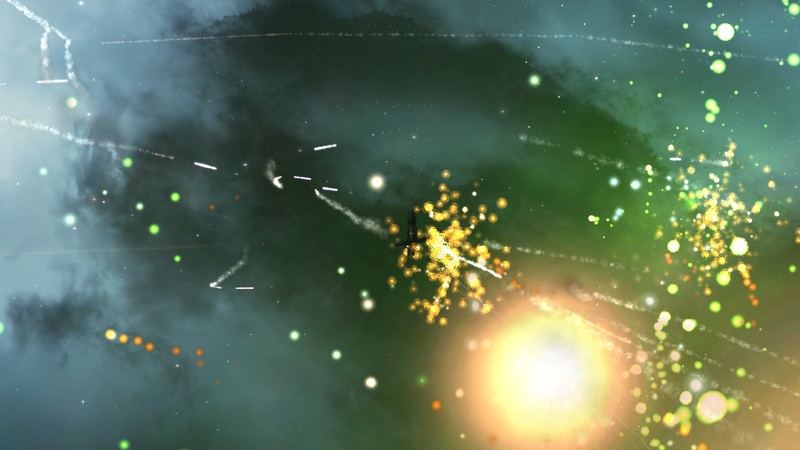 I thought, the test works and wormhole space connections are truly random… well dern, I was hoping to see the hypothesis fail, meaning there’s favoritism between regions of space, non-randomness if you will. Well, we have this data, let’s keep looking. 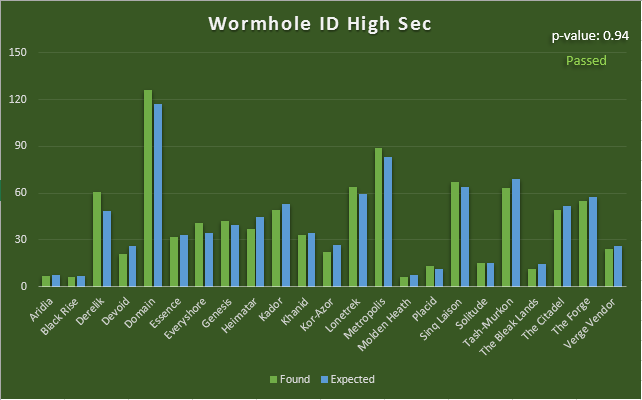 The next two slides you can see the test results for other wormhole and known space regions. The p-value’s vary from 0.17 (which still passes), 0.33, up to 0.89. You can also see we’re missing a fair number of observations in various regions again reiterating we need more data. It’s still interesting to see that there does appear to be enough data to begin seeing connections appear to be random. As I said before, more data is likely to strengthen the results. Did you notice there were two areas of space that were missing from the previous two slides? 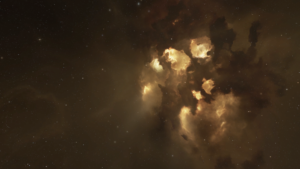 High Sec space and Class 5 wormholes. Take a look at the next slide. They both failed and not borderline either, they failed by a wide margin, High Sec with a p-value of 0.0000000005 and Class 5’s with 0.0003. Since the p-values are less than the significance level of 0.05, we reject the null hypothesis. 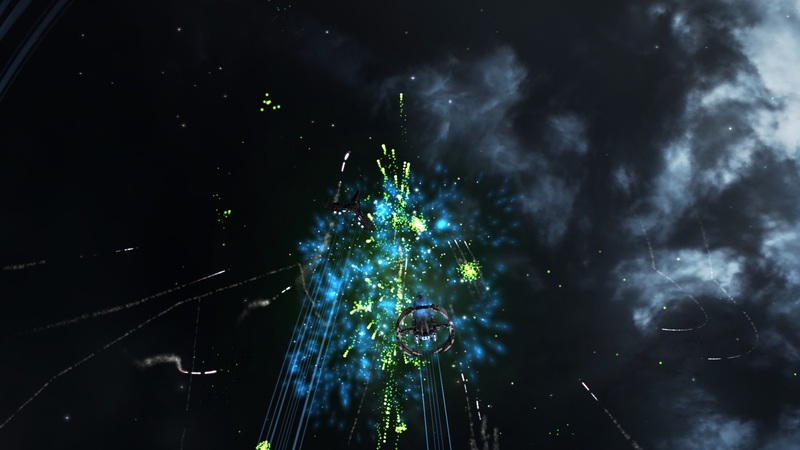 The TLDR, connections to High Sec and Class 5 wormholes are not equally distributed. It appears to not be random. Keep in mind, not enough data to confirm or deny these results, but isn’t it strange that it seems we have enough data for all regions of space to pass them except for these two? We do have observations from almost all of their respective regions, not the minimum, but still a fair sampling. So, who are our offenders? 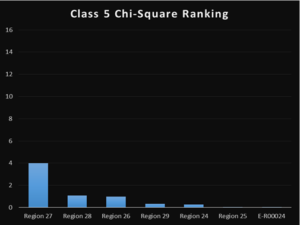 One region is clear as it jumps off the chart, Genesis, but are there others? 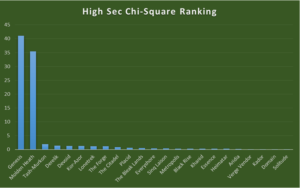 In order to find out, we’ll sort our result set by their Chi-Square computation. 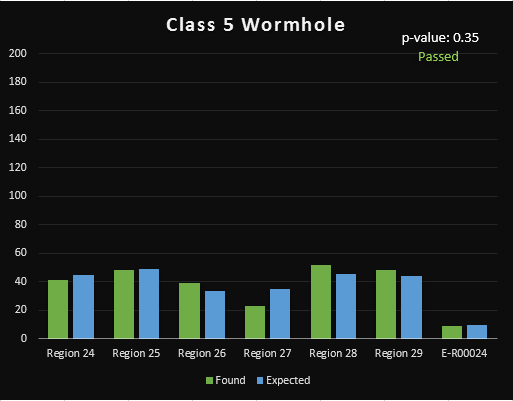 For our class 5’s it was region E-R00024, the shattered wormholes for that class. The next slide shows us that it was Genesis and Molden Heath from High Sec. Using a connection that leads to High Sec, the expected probability of landing in Genesis was 3%. Based on observed data, Genesis was 20%. (9 out of 45). Using a connection that leads to High Sec, the expected probability of landing in Molden Heath was 1%. Based on observed data, Molden Heath was 9%. (4 out of 45). Together, both Genesis and Molden Heath accounted for 29% of jumps to High Sec. Using a connection that leads to Class 5 wormhole space, the expected probability of landing in E-R00024 was 4%. Based on observed data, E-R00024 was 19%. (4 out of 21). 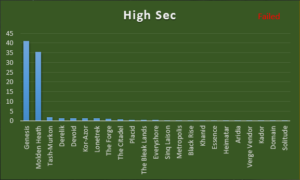 From a couple of chat sessions I had with my fellow corpmates when I presented these findings, the speculation was that Genesis is a favored region for Signal Cartel, because one of our offices is located in the Zoohen system. Because we don’t have enough data, it is possible this is at play. But what about Molden Heath and E-R00024? What’s special about them? Does that place doubt on the favoritism thoughts of the Genesis region because of Zoohen? If not Signal Cartel bias, then what? We know Genesis is the home region for the EvE Gate. 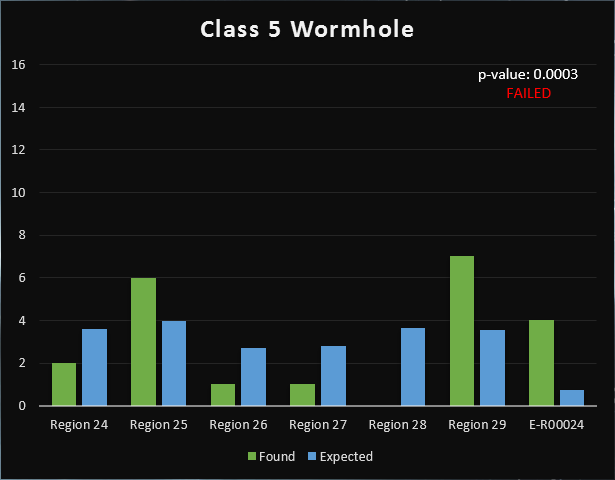 We know E-R00024 are the shattered wormholes for Class 5’s, but other regions have shattered wormholes. 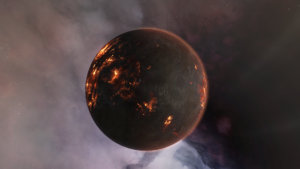 I did find out there is one unique system in the Class 5 shattered’s, J013146, a C5 Magnetar system with 7 shattered planets where we can find sleepers and Talocan Static Gates in the epicenter. Was this system perhaps where the cascade failure began? (Seems I need to find a historian). Is there a connection to the Eve Gate? But then what about Molden Heath? Is there something unique, different, or some observer favoritism going on? On this slide I wanted to present the data for the failed regions. I highlighted some commonalities among the entries, but it’s easy to see not enough data to draw any conclusions. 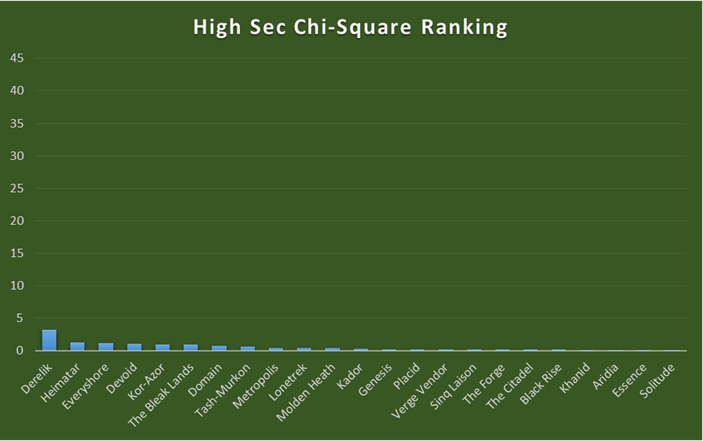 To positively confirm these results, we need to meet the minimum conditions for the Chi-Square Goodness of Fit test of at least 5 observations per region in High Sec and Class 5 wormholes. More data is needed. 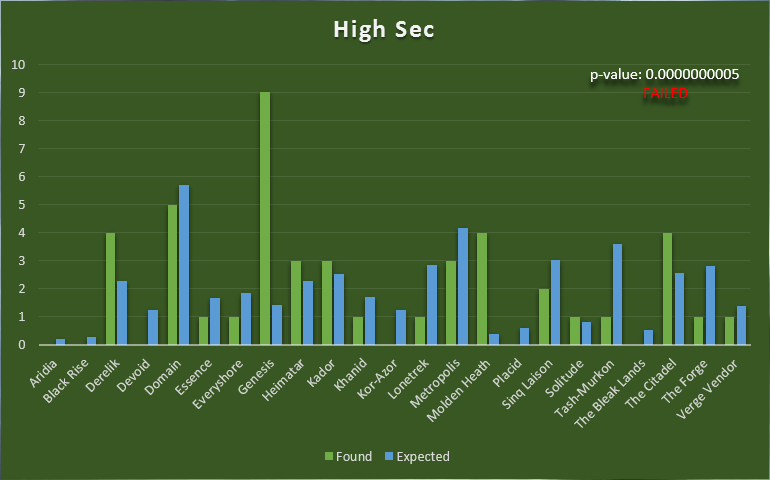 The p-value results for both High Sec and Class 5 are way out of sync with the reminder of the findings, it seems unlikely the rejected result of the null hypothesis would be reversed with more data, but it is possible. 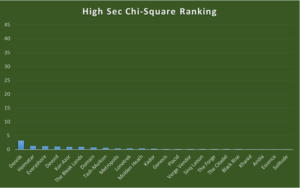 Even allowing for the minimum conditions of the Chi-Square test not being met, there seems to be enough data to say something odd seems to be going on Genesis, Molden Heath, and E-R00024. If we assume that more data will positively confirm these results, then the majority of known wormhole type connections are equally random across their respective destinations, with the exception of our 3 mysterious regions. We know there’s something special about the Genesis and E-R00024 regions, but about Molden Heath? Even though we don’t have enough data (have I said that enough 😉 ) to confirm or deny these findings, I find it odd that it appears we have enough to see the trend that for the most part, connections to other regions are random, with the exception of Genesis, Molden Heath, and E-R00024. It could very well be favoritism for Genesis, but what of the other two regions? If nothing else, this study has only added to the mystery of wormhole connections and ask more questions than what we started with. I think further observations, data gathering, and analysis are warranted. How, without any bias or favoritism going on, will be the challenge. W-Space – Why you not random? My blog post that really started Project “W”. 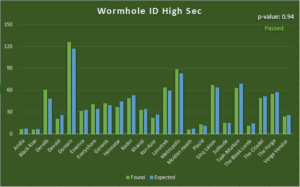 Wormhole Type Database – a list of known wormhole connections and where they lead. Database of New Eden Systems – All K-Space and W-Space systems and their information. 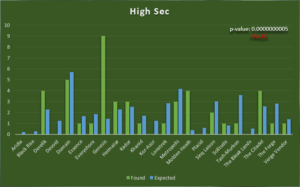 Project “W” Phase I Data – The raw data cross referenced with the above databases. Open to anyone who wishes to do their own analysis, confirm my results, or do your own test. I’m open and welcome anyone to do your own research with this data, it’s not going to bother me. All I ask is give Project “W” credit for the data gathered. Signal Cartel – Home of EvE Online’s premier exploration corp.
It’s been some time since I’ve posted an update, real life has kept me busy of late, so it is what it is. 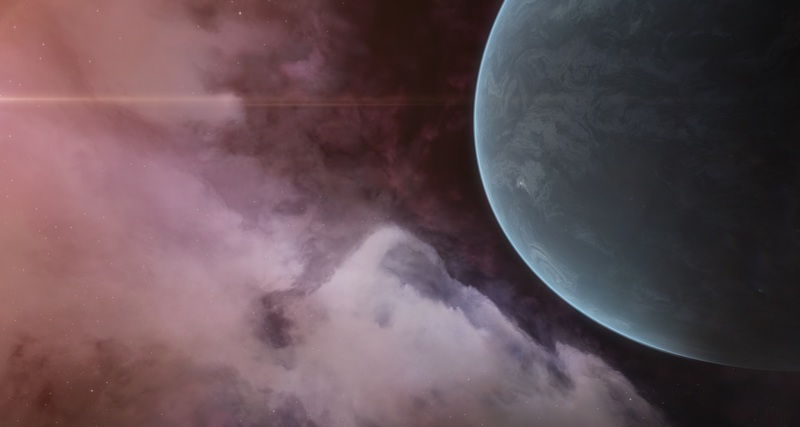 My wormhole journey continues, having hit 374 systems making that 14% of W-Space and 69% of all of New Eden explored. Still no ship losses. 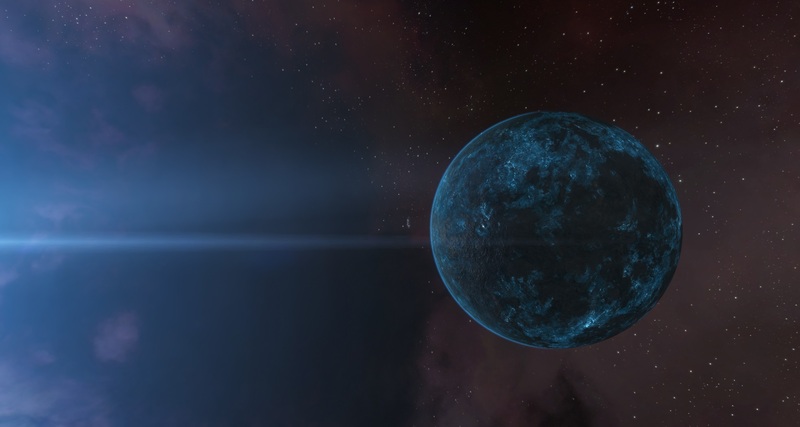 Since my last post, “W-Space – Why you not random?”, I’ve reached out to my corpmates in Signal Cartel and began Project “W”, where a few of us are recording our W-Space travels for 3 months. Which will end this month, then I hope to see what the data can tell us, if anything, as far as patterns and/or relationships between various classes of wormholes beyond what we already know. We may or may not see anything and the biggest issue we may not be able to overcome is having enough data to see anything. I’ll hold any further speculation until we bring Project “W” to a close and the results are posted later. Having enough data to see anything leads nicely to a real life science initiative that’s found its way on Kickstarter, the “Most Mysterious Star in the Galaxy”. If you’re reading this blog, then I’m assuming you’re a SciFi nut with an interest in exploration, and with that being the case, it just doesn’t get more interesting than this. 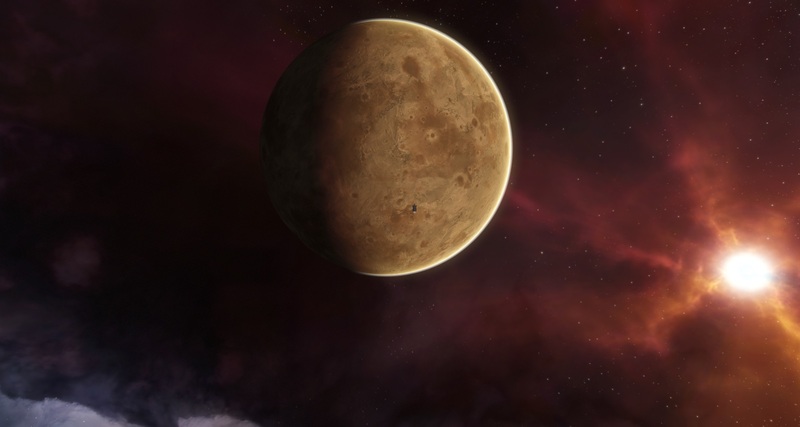 On my blog post “Planter Hunters in the ‘Verse”, I shared my interest in a project that’s analyzing Kepler telescope data to look for planets orbiting distant stars. Well, it seems that project has turned up an interesting one indeed. If you’ve not heard about KIC 8462852, you should check it out. In a nut shell, the thought process behind planet hunters is to look for the dip in light when a planet crosses in front of a star as observed from Earth. To put this in perspective just how extraordinary KIC 8462852, which is the designation for the star in question, if someone from a distant star studied our solar system when Jupiter passed in front of our sun, they would see the light from our sun dim by about 1% for a few hours. KIC 8462852 had long periods of no indication of dimming to periods of multiple events lasting weeks and 100’s of days, dimming the light from its sun by up to 20%. What does it mean? That’s where more data is required and why this Kickstarter is looking for funding and there’s only a few days left for them to reach their goal. Unfortunately, Kepler is no longer able to go back and gather that data. The project astronomers are looking to buy telescope time to continue that information gathering. Lots of speculation has been going on from various natural causes to advanced alien civilizations, but no one really knows. 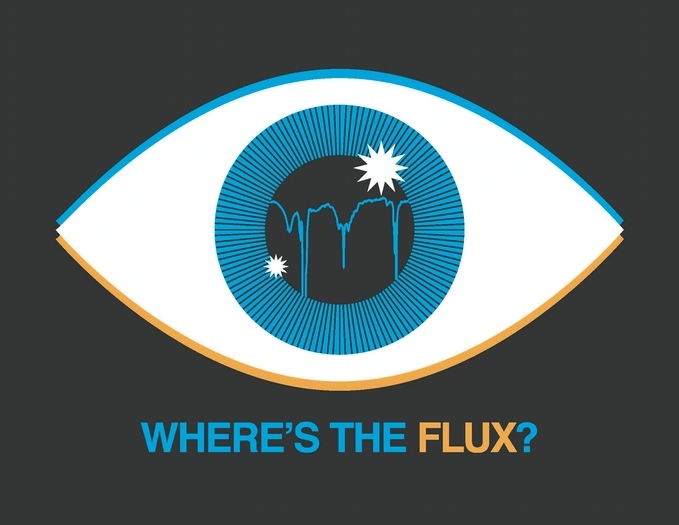 I love their Project name of “Where’s the Flux?” WTF? I love scientist that have a sense of humor, but more than that, I’m glad to see them be open minded. Until more data is gathered, we have no hope of knowing and sure it’s true, even then it may not be figured out. 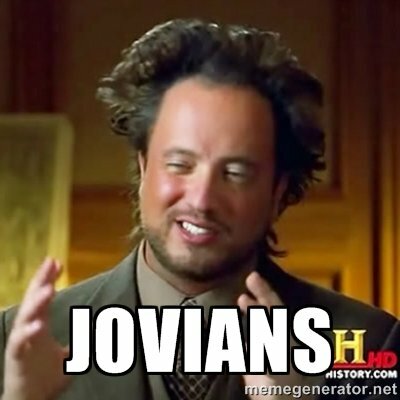 I’m with the lead astronomer on this one with my guess is that it’s a natural phenomenon, but what if it’s not? If you love this kind of thing as much as I do, kick a few bucks in to the Kickstarter, there’s only a few more days left and they’ve not reached their goal yet. Who knows for sure what the reason is for this odd behavior is, I certainly don’t know, but what I do know is it’ll be extraordinary. 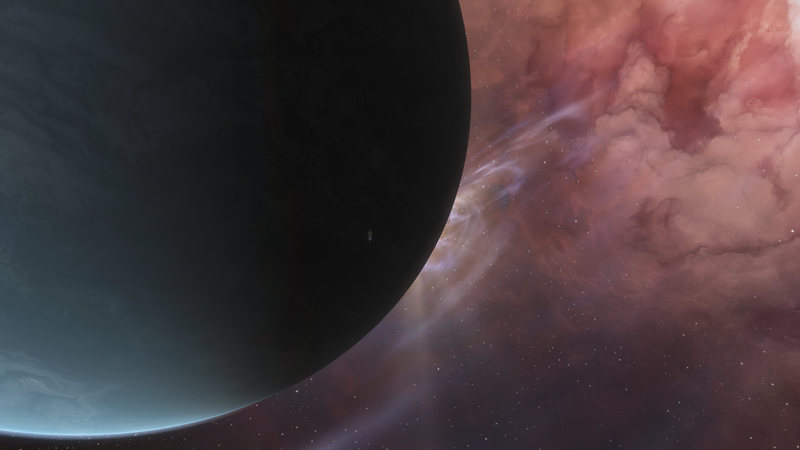 When I began my exploration of wormhole space just a little over three months ago, I had decided to base out of Thera. I felt it was a great place to start with random wormholes appearing daily. 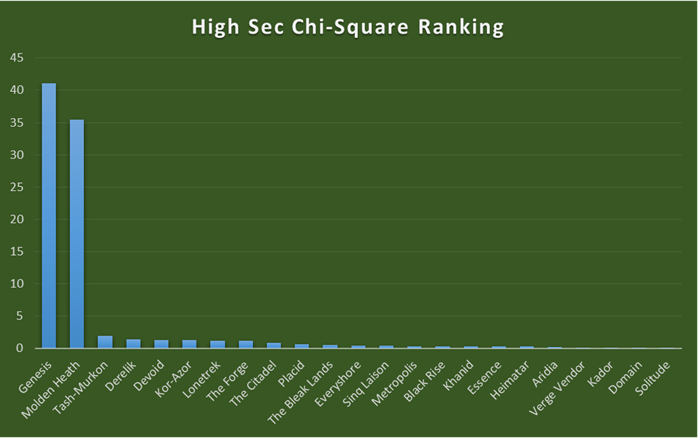 Being a member of Signal Cartel brings the benefit that most would be scouted already and taking advantage of that, I could quickly knockout several systems daily. Then I’d have to resort to scanning on my own which takes some time. 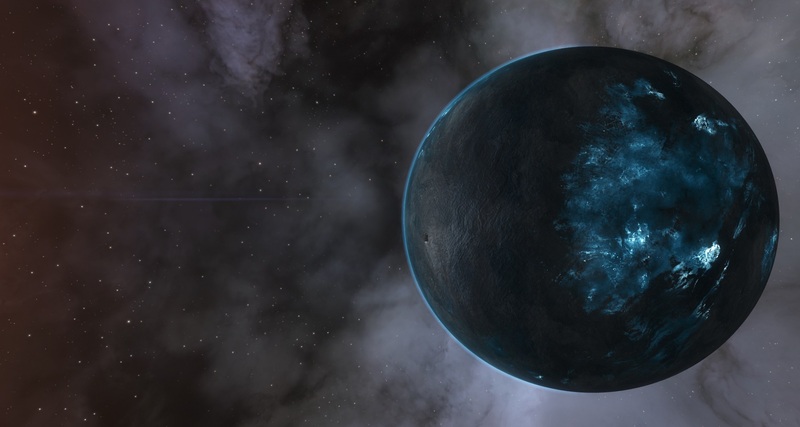 With over 2,500 wormhole systems and assuming complete randomness with the connections, statistically, it should’ve been some time before I started finding systems that I’ve previously visited. At least that was the theory. But there’s something odd going on in wormhole space and it’s not the space affects that I’m talking about. 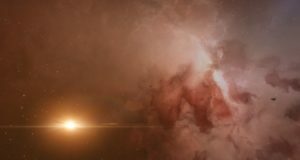 The randomness of wormholes connections in each system doesn’t seem to be so random after all. 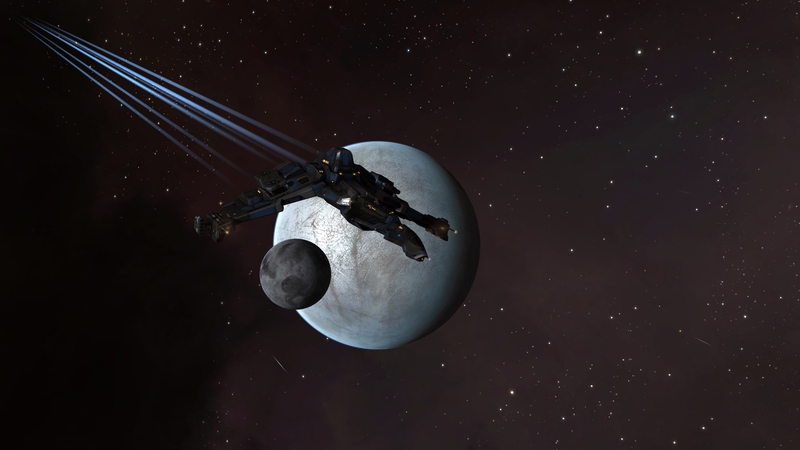 On my tenth day into exploring W-Space while based in Thera, I encountered my first duplicate system. I had only previously explored a total of 17 systems, so my chances of finding a duplicate system should have been less than 1%. Yes, I hear you and understand, less than 1% chance is still a chance, so with a raised eyebrow, I continued to base from Thera. But here’s the thing, as I proceeded to explore, duplicate systems kept coming up, beating the odds of finding them until finally at the end of March with only 10% of W-Space explored, my odds of seeing duplicates seemed closer to 30%. I decided to forgo basing in Thera and have been wandering ever since. Now with my supposedly random wandering it gets more interesting. This last week, just the last few days really, has convinced me of the not so randomness of W-Space, that there’s a pattern to the chaos. One day, I hit system after system that I had previous explored, until finally I found one I had not. It was around ten systems, making that day’s odds over 90% likely to find systems I’ve already been to. What? How? It gets more interesting. The next day, I found system after system I had NOT been to yet, making that day’s odds over 90% likely to find systems I’ve NOT already been to. Very odd. I don’t have an answer, so what am I proposing? I believe wormhole systems cluster together and connect more often than not to the same systems over and over again. Granted, I believe the clusters are rather large groups, maybe upwards to 600 or even 700 systems or so, but based on my experience so far, it would fit the odds I’ve been experiencing. I’d be curious to hear from folks that actually have lived in a single wormhole system for a long period of time. Have you noticed or have you seen yourself connecting to the same systems over a period of several months? It’d be difficult to prove and take a lot of observation from multiple systems, but it is interesting never the less. UPDATE: After some discussion on Twitter and further reflection, the more I’m beginning to think there may be a light year limit between systems and their ability to connect to each other via wormholes regardless if they’re K-Space or W-Space. By Katia Sae  Posted in Favorite Images, Personal Logs, Project "W"